Are you a movie buff? If you quote lines from your favorite movies, spend hours in line to watch the latest Star Trek Movie and spend countless dollars on watching movies then you are definitely a movie buff! For the movie buff in you, we have a solution to save money and watch unlimited movies at your local movie theater- MoviePass! 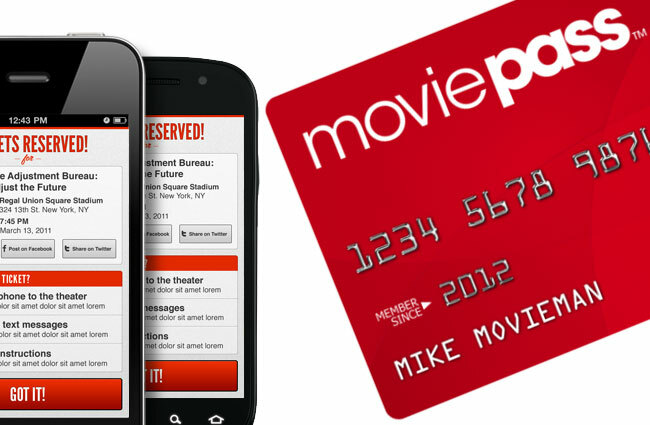 MoviePass is the nation's #1 movie theater subscription service, giving you the opportunity to see a movie in theaters every day for a single monthly fee! The pass is accepted at 95% of theaters nationwide. The membership varies depending on where you live but it averages between $30 and $45 per month. Subscriptions offer access to new 2D movies as soon as they hit the theater, so you can go see a movie on opening night! There's no commitment required to subscribe, and you can cancel anytime. Even though we are not movie buff's we got a chance to try this new service and loved it. You can literally watch a movie every day of the week and try new movie theaters around you. The best part is that if you are out and about in a new area the MoviePass app locates the closest theater and shows you whats playing! This is definitely a great gift for someone that loves movies! See below on how MoviePass process works!